We are excited to announce our new and improved membership options! Three options available - perfect for your family needs! Visit Cookie's Island during 10am and 3pm, Monday to Friday (Term Time Only) for unlimited play and access to our Mini Clubs. 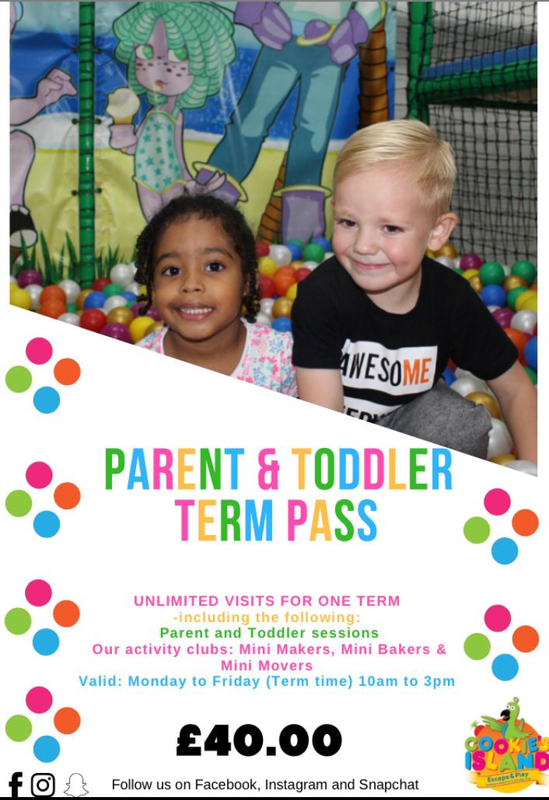 Visit Cookie's Island during 10am and 3pm, Monday to Friday (Term Time Only) for unlimited play and access to our Mini Clubs for a whole year! 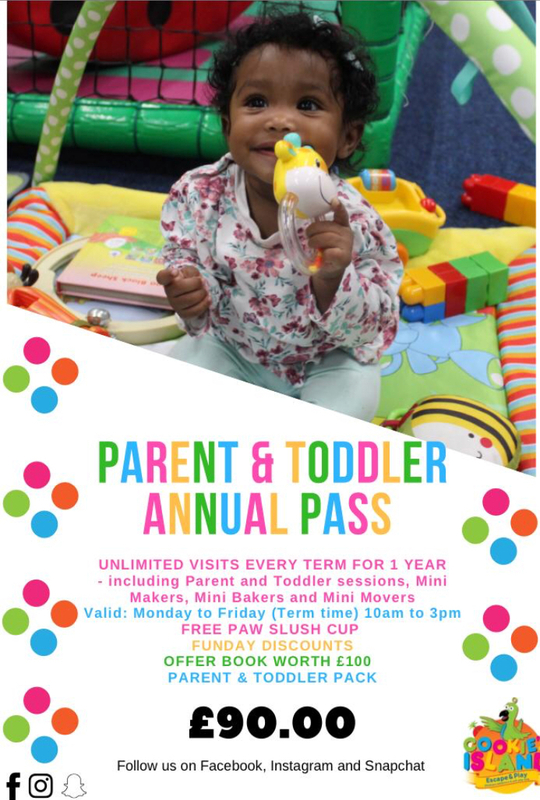 Voucher booklet to use over the year with over £100 worth of savings! FREE Scrapbook to keep all your masterpieces safe and to create a book of memories to last a life time. 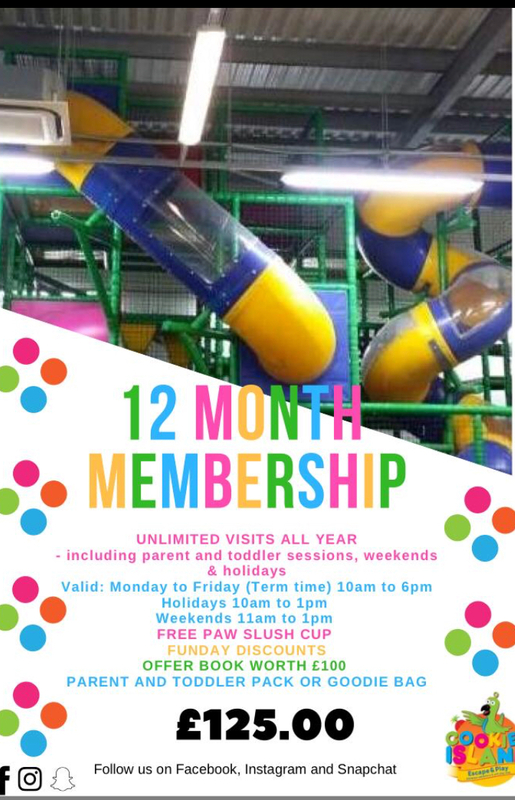 Visit Cookie's Island during 10am and 6pm, Monday to Friday (Term Time Only) & Weekends and School holidays from 11am to 1pm for unlimited play and access to our Mini Clubs for a whole year! A whole year worth of Non-Stop Play Time.